For over a century, the banana has been the world's favourite fruit. Quick and easy to eat, tasty and versatile, the banana is a staple of many diets around the globe. Its history, however, is more than simply a succession of happy family scenes and appealing exotic locations. The growth and development of the fruit we know and love today is entangled with colonial practices, capitalist enterprise, sexual politics and even horrific murders.Banana: A Global History takes us from the agricultural beginnings of the banana in New Guinea to its almost ubiquitous presence in culinary repertoires around the globe, from the United States to the Caribbean, from regions of Africa to the heart of Southeast Asia. The book gives us an insight into the life of the banana over millennia, focusing on our recent history and its cultural affair with the fruit. 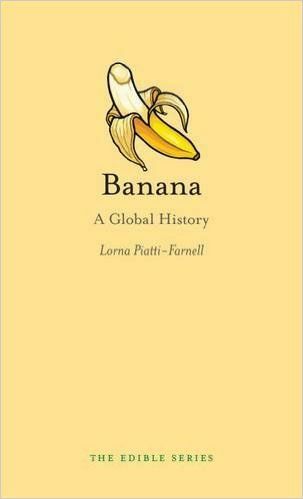 The global life of the banana is traced in cultural practices, advertising, commercial schemes and the unmissable icons of popular culture, from nineteenth-century medical manuals to cookbooks, songs, the famous 'banana peel gag' and the well-known Miss Chiquita icon.